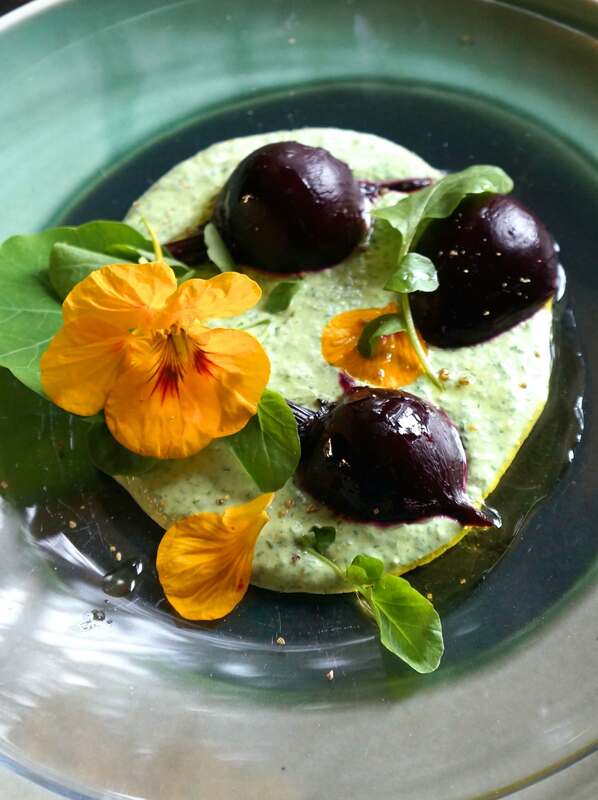 First, we eat with our eyes, one reason to try this recipe for Roasted Baby Beets with Watercress Yogurt Sauce. It makes a lunch or first course when the weather cools. 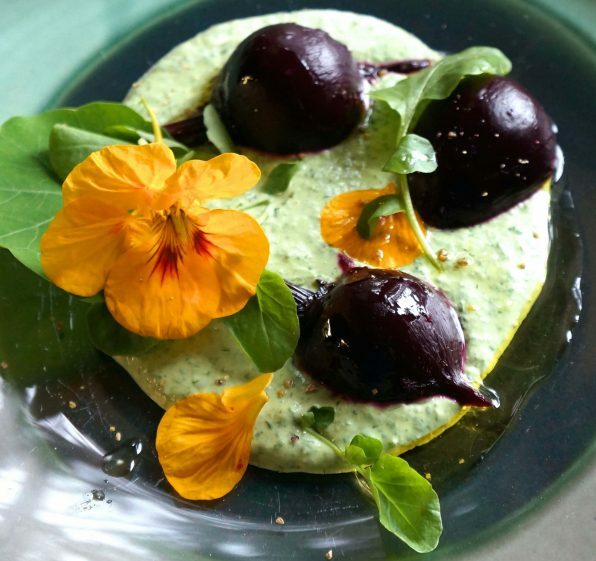 A light and fresh starter, this dish features an unexpected combination of sweet, tart and peppery flavors. The cover of Alana Chernila’s excellent new book Eating from the Ground Up inspired this recipe. It pictures a plate of roasted radishes on a creamy pale green sauce. The simplicity of the cover and inviting plate of food appeals to me because one rarely sees cooked radishes anymore. 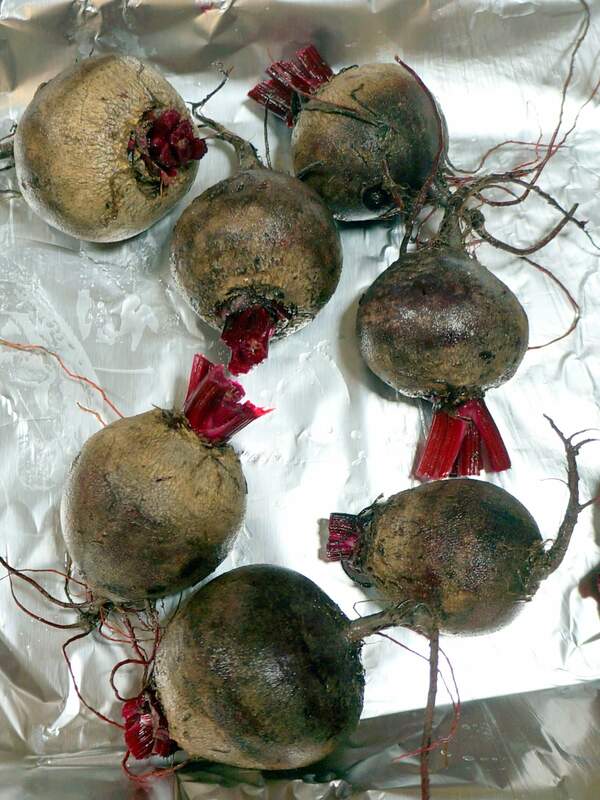 It inspired me to pair roasted beets and watercress, a peppery green that complements the sweetness of the beets. Thick yogurt provides a tart creamy base for the sauce. They take only about 30 – 45 minutes to cook. Use a small paring knife to test them. It should slide through easily. 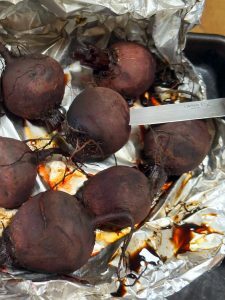 We store roasted beets in the foil in which they were cooked in the vegetable drawer where they keep for about 5-6 days. I used Siggi’s plain yogurt with 4% fat to make this sauce. Its not too tart and remarkably creamy. You can find it at Foodworks. Larger grocery stores may not carry their full line other than the single serving of what I call dessert yogurts. 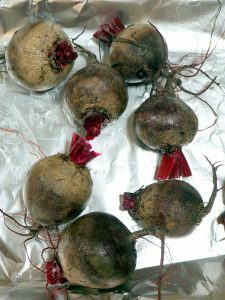 Let the beets cool at room temperature then refrigerate up to 2 days before using.